We can send you a reply in English, Chinese, Thai, Korean as soon as possible. It's a convenient area and near The Namba Station.You can walk to Doutonbori,Shinsaibashi &amp; Sennichi-mae. 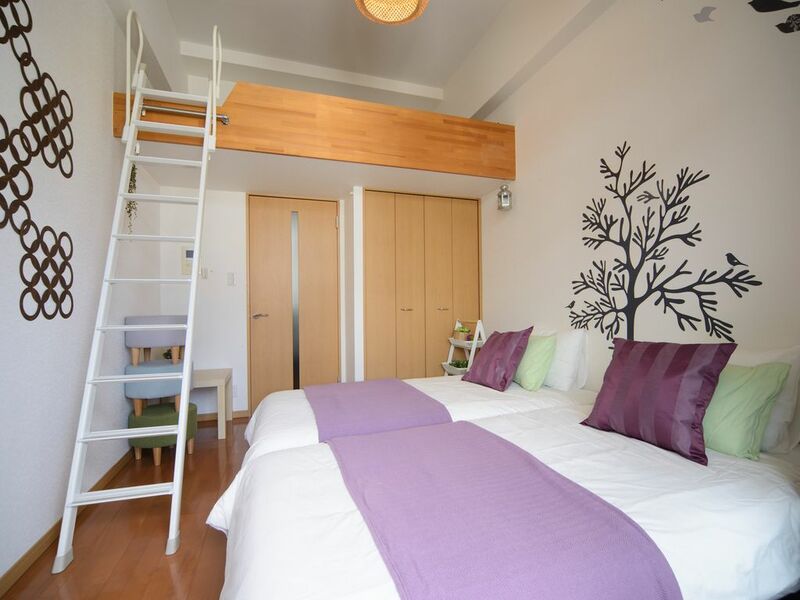 Two sjngle beds and one double bed(loft space) can stay for max 4 person. 1-2 people with plenty of space. Near famous Dotonbori tour spot.24 hour grocery stores, cafes, shopping galore, sushi restaurants etc. If you want electronic goods, Nipponbashi is only 15 minutes from my room, There are many electronic goods, many choices and also different prices.